Ranch 32 Chardonnay 2016, Arroyo Seco AVA, Monterey, California. 13.5% ABV; SRP $20/bottle. Color is pale yellow, with a nose of pear, pineapple, vanilla extract and toasted oak. On the palate, apple and pear dominate with a buttery and rich mouthfeel, wrapped up by hints of brown butter sugar cookies and lime zest. This is a great wine to sip on the porch in the afternoon; perhaps the ideal food pairing is baked chicken with fresh vegetables. This is the classic, savory, buttery chardonnay made with ten months of aging in French oak, a touch high in alcohol for me but the mouthfeel did not give that away. 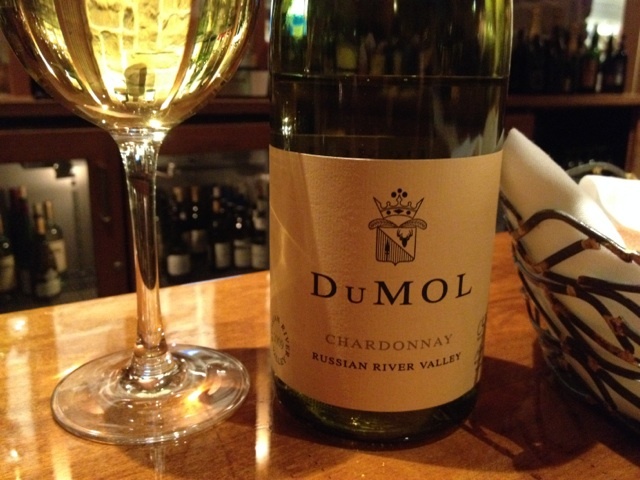 For my readers who love classic California chardonnay in the under $25 mark, this is a bottle you need to find! 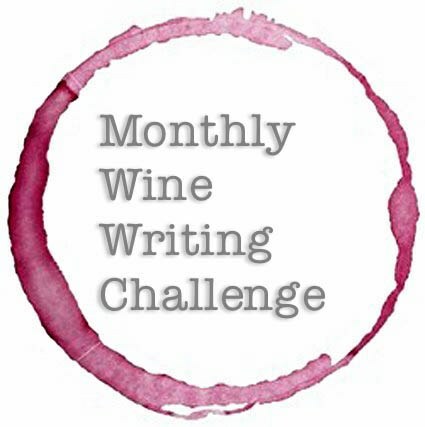 Ranch 32 Cabernet Sauvignon 2016, Hames Valley and San Lucas AVAs, Monterey, California. 13.5% ABV; SRP $20/bottle. A blend of two fruits from two Monterey estates, aged for 12 month in French and American oak. Color is deep garnet with maroon edging. The nose offers cassis and blackberry, then green vegetation with notes of eucalyptus, basalt, and cedar. On the palate: moderate dark fruit starts and finishes. Black plum and black currants cross the front palate, potting soil with loam and sodium on the back palate with a spice mix and heat from the alcohol across the top palate. Medium-long finish with strong fruit is retained thoughout. 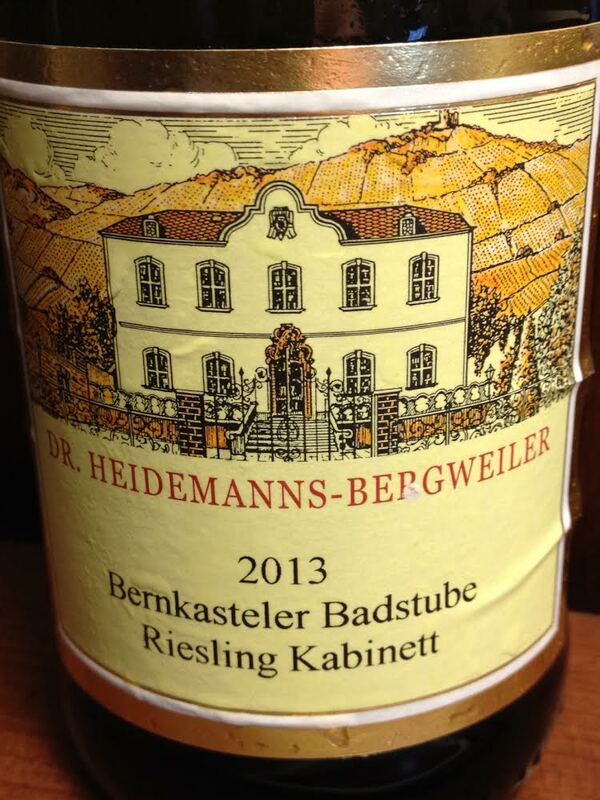 I tasted this over the course of a week and the fruit profile expanded to full maturity after a couple of days. It was delightfully young upon opening and evolved with air to a nice maturity, so I’d suggest decanting or using an aerator for maximum enjoyment. Ideal pairings with grilled meats and game, my preferred pairing was grilled steak and grilled vegetables (also endorsed by a vegetarian guest who did the pairing solely with grilled vegetables). I found this wine to be a solid value, especially at the street price you will find in the $15-20 range. Ranch 32 Pinot Noir 2016, Arroyo Seco AVA, Monterey, California. 13.5% ABV; SRP $20/bottle. Color is dusty rose, while the perfumed nose offers rose bush, raspberries, fresh cuttings and sand. On the palate, fully mature cherry and raspberry, notes of sea salt, moss, sandy loam, and white pepper. Considerable heat on the medium-long finish, notes of burnt coffee beans and tasted oak wrap up this little gem. I adored this wine with hot artichoke dip, both cured and baked salmon, and dried meats. I could see this wine easily pairing through an entire meal, tantalizing your mouth from the appetizer to after-dinner bites of strawberries, chocolates, or cheesecake. There is a sense of old-world glamour in this wine, perhaps an early California essence that permeates? Regardless, this is solid value that compares well against wines in the $25+ range. Lasorda Family Wines 2015 Cabernet Sauvignon, Paso Robles, CA, USA. 13.5% ABV; SRP $24/bottle. Color is deep magenta with purple edging. The nose offers boysenberry, eucalyptus, and dried black fruit. On the palate is blueberry and boysenberry, with secondary hints of raspberry and cherry, followed by notes of forest floor, mocha, cedar plank, and granite. There is considerable heat across the front palate, followed by dried blueberry, black plum, and stone across the tongue; residual heat shifts along the rear of the top palate on the lengthy, fruity finish that features moderate acidity and medium-to-large tannins. Winemaker Terry Culton has crafted a modern cabernet with a nose and mouthfeel that nod to old world cabernet style, while the flavor profile is unmistakably Paso Robles- that’s a great thing! And it goes with food, let me tell you! In addition to pairing with American fare, this wine will sit happily along Italian, Spanish and French meats, game, and savory dishes. It is medium bodied with a warm, enveloping and gossamer mouthfeel. I paired this over a five day period with Italian, Mexican, Chinese, burgers, grilled chicken, and steak and I was pleasantly surprised every single time. This is a delicious, food-friendly wine that drinks nicely alone and pairs beautifully with American fare and, like the game, gets along with all others. Did I expect to like it? No preconceived notion. Would it be the perfect wine or gift for your friends & family who are BASEBALL FANS? Oh HECK yes! Editor’s note: If you didn’t automatically THINK about Tommy Lasorda when you read the top lines of this post or saw the baseball diamond on the bottle, ok- you’re not a baseball fan, & here’s the skinny: Tommy Lasorda was a major league baseball pitcher and went on to become a Major League manager. For two decades he managed the LA Dodgers, and was one of the top managers in baseball history. His name is synonymous with professional baseball, regardless of who you root for. Yes, this is his family’s namesake wine. Tommy Lasorda, at 90, is currently the oldest living member of the National Baseball Hall of Fame. This wine is an absolute HIT. make no mistake about it, I expected a gimmick, and got scored on. I AM a Yankee fan, after all! But for any baseball fan, this is a treat! Take this bottle to the park. Or give it as a gift. You’ll thank me. Sbragia Family Vineyards is a Sonoma winemaking family I did not know before..
And now it is one I will never forget. Sbragia Family Vineyards 2012 Gino’s Zinfandel, Dry Creek Valley, Sonoma County, CA. 15.1%ABV. MSRP $44/bottle. Sample provided by Bacchus Capital Management. Color is garnet with violet edging. The nose shows red and black fruit, eucalyptus, anise and green pepper. 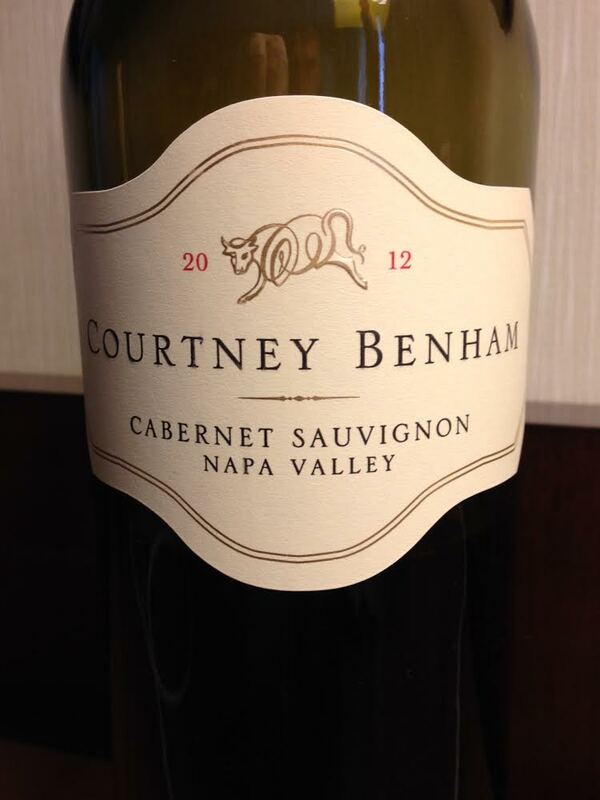 In the mouth, plenty of black and red berries meet spice, black pepper, chewy tannin and nice acidity. Big in flavor, hot on the back palate when the alcohol crosses the threshold. Tasty by itself and with food, this matched up beautifully with pizza, chili, and by itself in the afternoon sunshine on the back porch. Refrigerated after opening the bottle, it lasted nicely for over a week while maintaining freshness and proper balance. Some great value found in the street prices of this wine. #HeyNow! Sbragia Family Vineyards 2014 Home Ranch Chardonnay, Dry Creek Valley, Sonoma County, CA. 14.5%ABV. MSRP $30/bottle. Sample provided by Bacchus Capital Management. Color is deep straw verging on golden sunlight. On the nose, baked apple pie, pineapple, a hint of baked bread while toasted cashews tantalize the senses with a strong sense of alcohol. On the palate, white stone fruit, kiwi, lemon zest, marzipan, and vanilla, with granite on the long finish that leaves a zesty heat across the top palate. #SoNice! 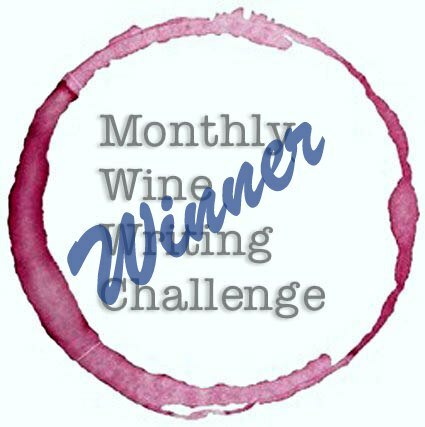 Sbragia Family Vineyards 2012 Monte Rosso Vineyard Cabernet Sauvignon, Moon Valley District. Sonoma County, CA. 14.8%ABV. MSRP $65/bottle. Sample provided by Bacchus Capital Management. What a gorgeous & classic California cab: deep ruby in color. Eucalyptus, menthol, earth, wet leaves and green pepper with cedar on the nose. Massive cassis and blackberry fruit up front. Some mid-palate spice, some heat, forest floor, saddle leather, and a soil-rich minerality on the finish with lasting heat, lovely oak and a lingering body. Lovely to drink now but what perfection might this be in 5-10 years with the alcohol muted and the fruit sliding back? This wine drank beautifully for a week of evenings when stored in the fridge… rationing a half-glass of heaven each night. This drinks so well right now but I can’t wait to see what it is like in 2022. #BOOM! Ed Sbragia of Sbragia Family Vineyards provides a classic California edge with a long-term family history and pedigree you can taste in the glass. Get a few bottles, pop them with friends, and listen got everyone tell you how good they are. They are just that crowd pleasing. If Chile Had a Margaux, This Might Be It! 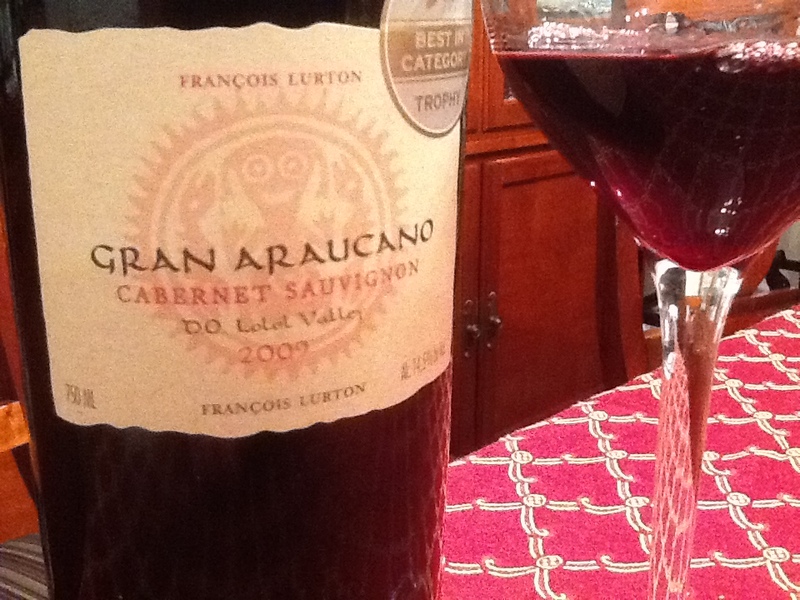 François Lurton’s Gran Araucano Cabernet Sauvignon 2009, Lolol Valley, Chile. 14.5% ABV, $35 list, currently $35-45 street. I would never have tried this wine but it was suggested to me over and over from various vendors who know what I like, and that I prefer to buy wines in the under $20 for my readers but my personal preferences run higher. After the third time someone suggested this to me, one vendor finally put the bottle in my hands and said, “If you don’t like it, bring it back and I’ll exchange it.” For a perishable item like wine, that’s a sales pitch from someone who trusts his product! The color is deep ruby, and the nose is surpassingly complex and aromatic w/ black plum, spice, forest floor, a little funk and menthol. A nose like a champion, almost worth the price of admission for the nose alone. On the palate, tart cassis is the powerful first impression. Swirled around the mouth, the upper palate gets the heat plus red plum, pepper, oak, some clay. The tongue continues with cassis and now adds plum and blackberry, while the back palate senses silt, darker notes like forest and potting soil, and now tannins creeping in, first slowly, then with full force. Acidity and tannin take a second place to the fruit and nose in this wine, but are in no way diminished. This is a well-made wine, worthy of the price tag. Great for roast meats, strong flavors- even though I enjoyed it with mediterranean fare. It was crafted with care by masters of French classic wines, no doubt, because I have a hard time putting down the glass, or it keeps refilling itself. If Chile had a Margaux, this might be it. I would love to taste this wine again in five and ten years. If you take the time to google this wine, you might find the series of awards it has won. Or you might just find what matters: a place to buy a bottle or two so you can enjoy. If only I had cellar space for a full case! 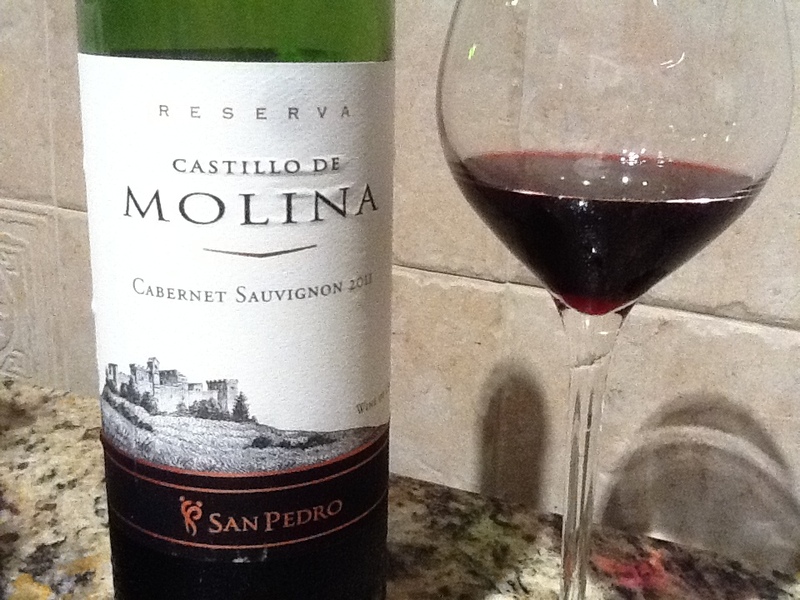 San Pedro Reserva Castillo de Molina Cabernet Sauvignon 2011, Central Valley, Chile. $11 at Mayfair Wine & Liquor. %14 ABV. Color in the glass is deep garnet with rose edging. The nose shows cassis, young black plum, forest floor, young oak and a hint of menthol. In the mouth, a mix of fully ripe black cherry, blackberry and black plum, dried flowers, clay and some barnyard funk on the finish. A full-bodied wine with a very South American attitude. Pairs best with strong flavors, retains balance on the second and third day after opening. A solid value at this price point, best demonstrated with gamey meats, spicy fare or savory cheeses. A friend I’ve not seen for 28 years was in town for a family wedding- his! So I invited Joe & Kaz to come to our home for dinner while they were in NYC, visiting from Osaka Japan. Joe has lived in Japan for almost two decades and I knew we’d have a lot to discuss. I was a little nervous about making dinner since our Western meals are quite different than those in the East, so I enlisted my (much) better half to help create a solid dinner plan, while I, as in classic form, worried and worried about what wines to serve. I stared into my cellar, pondering choice after choice, changing my mind several times. Finally I settled on a small- production petite sirah I’ve been holding for a special occasion to pair with beef, and a vinho verde I love on hot summer evenings. 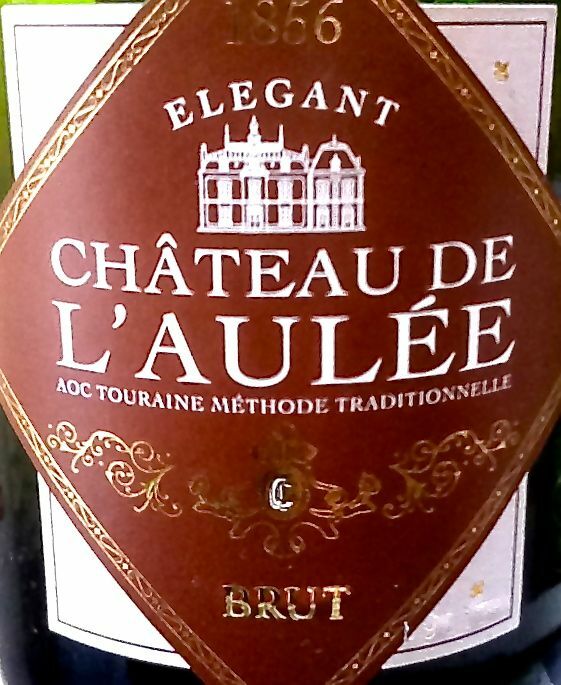 I grabbed a bottle of Chateau de L’Aulée AOC Méthode Tradtionelle brut sparkling wine from Touraine, France so we could toast the wedding. 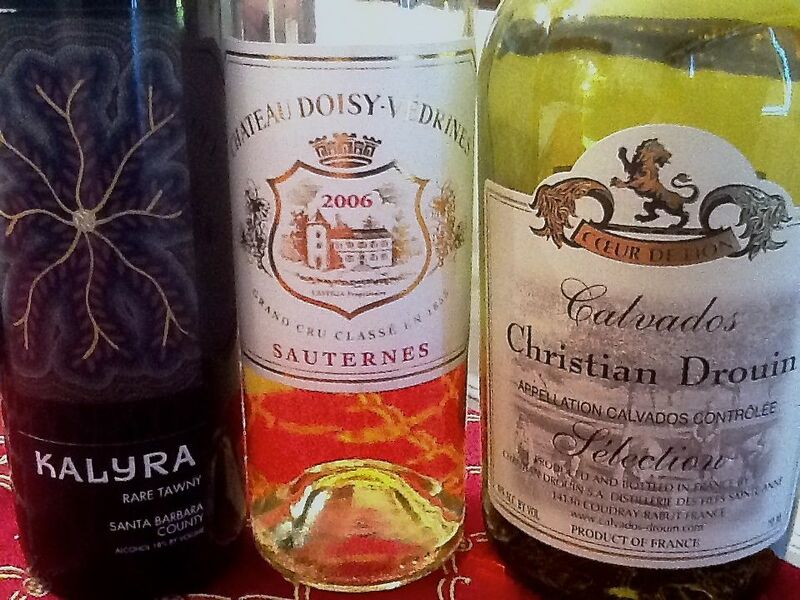 And just for fun, I selected two half bottles of dessert wine, a port and a sauternes. I felt prepared. No, really I felt terrified, but at least I had wine! Since both my wife and I are freelancers in the arts and work a lot of (ok, almost all) evenings and weekends, we rarely get to entertain. We also didn’t know how busy we would be prior to our dinner. As my schedule got increasingly hectic, she agreed to shop while I was working. Our menu plan included several cold salads that I could help prep and she could execute while I was grilling the entrée. The butcher didn’t have the cut of meat I wanted available, so she purchased several shoulder steaks and we agreed to make kabobs to allow us to serve efficiently. As she sliced a butternut squash and put that into the oven, I cubed the beef and dumped it into a bowl for the marinade- then diced fresh garlic, onion powder, cracked 4-color pepper mix, and ground some Himalayan salt on top. I added two heaping tablespoons of extra virgin olive oil, a splash of balsamic vinegar, then raced to the cellar to get a bottle of my ‘everyday’ red table wine– a bottle of 2011 Los Vascos from Colchagua, Chile which is managed by none other than Baron Eric de Rothschild. This wine is one of the best values I keep in my cellar at about $10 a bottle, and is great to drink but doesn’t break my heart if I need a lot of it to make a meal taste wonderful. I poured it on the beef and mixed my marinade happily, putting the bottle aside as a backup to the Petite Syrah, then covering the marinade bowl and sliding it into the fridge to continue the prep. Annette and I chopped Israeli cucumbers and diced roma tomatoes, parsley and scallions for a cucumber/tomato salad that could be dressed quickly with oil and balsamic vinegar. As I washed vegetables for the kabobs, she cut yellow and red peppers for me, moved to prep an avocado salad that had to be made at the last minute, then put sweet peas and water into a pan to cook while I scraped & preheated the grill. 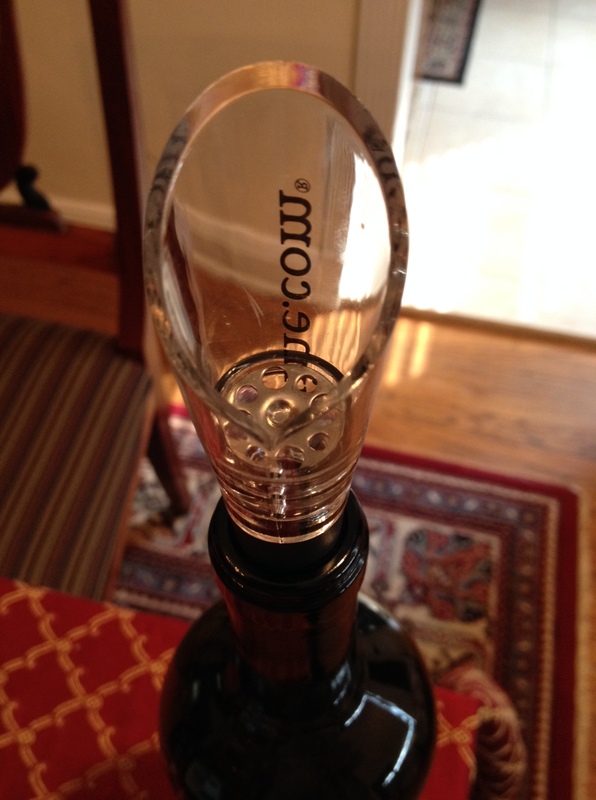 Thirty minutes had passed and we were moments away from our guests arriving, so we enlisted a daughter to set the table while I aerated and decanted the petite sirah, using a True Fabrications Aerating Pour Spout to pour into the decanter. The petite sirah was a gorgeous, near-black purple in color, delightfully aromatic with the scent of african violets, and exciting even to pour. I was happy that the spout had caught some sediment as well as aerating. I rinsed it and set it aside, then pulled the meat out and built the kabobs for grilling, using mushrooms, onion, cherry tomato, yellow and red pepper, and of course the marinated steak cubes. Joe and Kaz arrived and we greeted them, opened the bubbly and toasted their wedding, and I took them with me to the backyard to grill the kabobs while Annette completed the salads and vegetable courses. The grill ran about 550 degrees and while kabobs require about five minutes a side for medium well (turning over once), I prefer to turn them every three minutes as neither the vegetables nor the meat always turns as one wants. After a quick sear, I moved several kabobs to a higher level to grill them to medium rare over the same duration. We chatted about their trip, enjoying the sparkling wine until it was time to take the kabobs off the flame. Following our guests into the dining room with a plate of burning hot skewers, I noticed that Annette had made a couscous (when did she find time to do that?) and also managed to plate the butternut squash rings so that they enclosed the steaming hot green peas, a neat little visual I didn’t know was in her repertoire! I refreshed flutes with sparkling wine and poured the petite sirah, as Joe gave a quick Japanese blessing, “Itadakimasu” or いただきます. A few bites in, Joe exclaimed his joy at the wine, which made me beam proudly and take time to explain my choice, ignoring the earlier requests from my 13-year old daughter who had begged me not to wax poetic about wine tonight…sorry, sweetheart! 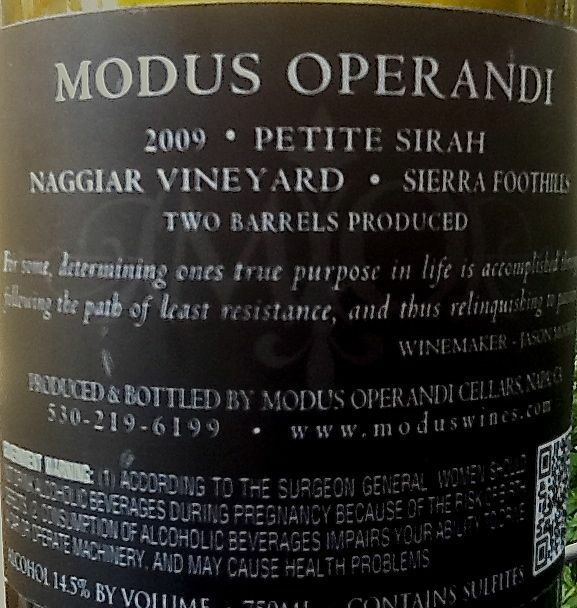 Modus Operandi is the Napa, CA home of winemaker Jason Moore. I was introduced to his wines by a fellow oenophile who INSISTED I try Jason’s cabernet sauvignon- I loved it, noting the depth and complexities of flavors, with an unusual bonus: chocolate covered strawberry notes on the finish. 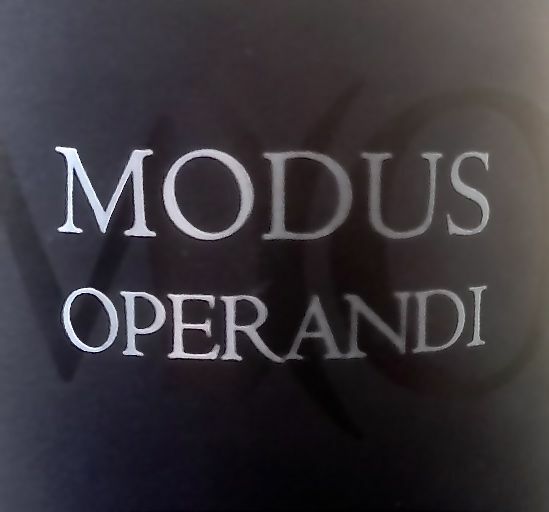 I quickly joined the Modus wine club and have been a fan ever since. Jason may not be the first of the independent winemakers that I decided to champion and support, but he is highly accomplished and we share an affinity for passion in the things we do. His work is exemplary. Back to the dinner table: Joe noted the sirah was more black in color than red, more floral than fruity on the nose, and deeply complex. I agreed, and explained that it was made in very limited quantity (only two barrels produced) and that I chose it specifically to complement both the meat and array of vegetables due to its flexibility to pair so well with grilled foods. I have a full review of the ’09 sirah here. The meal I had been so worried about had been a success, and we talked late into the night. After a small intermission we cleared dinner, I made coffee while Annette served berries and some small pastries I’d picked up at Financier for dessert, and I brought out the dessert beverages to our guests. These included the 2006 Chateau Doisy Vedrines which is showing beautifully right now, a tawny port from Kalyra Winery, from Santa Barbara, CA that I just tasted recently on my Wine Blogging trip, and a calvados: Christian Drouin Coer de Lion “Selection”, a delightful digestive that offers apples, spice, and cinnamon-all the best parts of apple pie- in the glass. We sampled sips of all three, and a little XO courvoisier that was a gift from a client. My fears of failure seemed to have been conquered by paying great attention to detail. Fresh, flavorful, and colorful food well-paired with tasty wines and made for a lovely, memorable evening with old friends and our spouses. While I don’t know when I’ll see my friend Joe again, I hope that Annette and I will work harder to entertain more guests at our home sooner, rather than later.